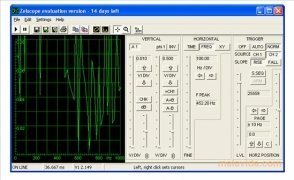 Oscilloscopes are electronic test instruments that allow us to measure electric signals that vary with time, and they are usually used in combination with a spectrum analyzer to be able to examine the spectral composition of a waveform. 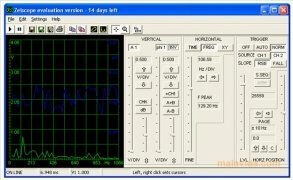 This type of tool is usually used in all kinds of electronic projects, but they are also used for meticulous audio analyses, with the objective of finding signal errors or clicks. Zelscope is an application that has all the components necessary to be able to use our sound card like an oscilloscope input to be able to check the power of an audio file or the real potential of our sound card. 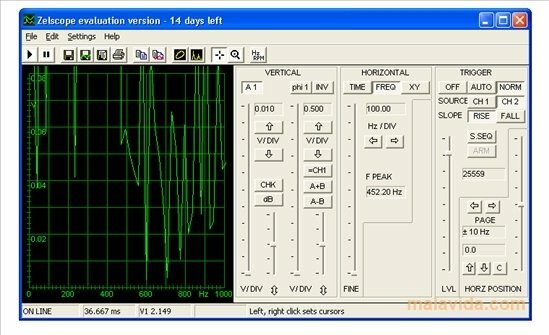 The application offers us real-time response, representation of one or two simultaneous waveforms, a 10Hz to 20 KHz bandwidth (the range of frequencies that the human ear is capable of hearing), time base of up to 5 seconds and an amplitude and/or phase spectrum analyzer. 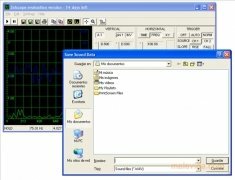 Zelcope will also allow us to export the data as WAV, TXT, BMP and EMF. The trial version can be used for 14 days.